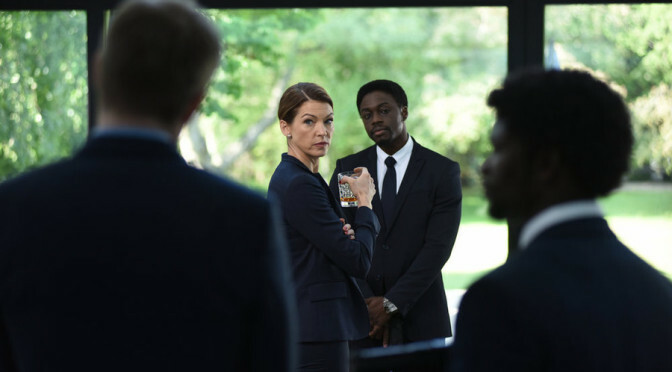 “Company Woman” is the title, and it airs on Thursday, January 14. Here’s the description. ERICA KRAVID’S HAUNTING PAST IS REVEALED AS THE EXTINCTION OF HUMANITY LOOMS CLOSER — GREG GRUNBERG AND NOAH GRAY-CABEY GUEST STAR – As the end of civilization quickly approaches, Erica (Rya Khilstedt) sets her startling survival plan in motion with the help of Tommy (Robbie Kay). Malina (Danika Yarosh) races to unite with Tommy and is joined by Luke (Zachary Levi) while Quentin (Henry Zebrowski) and Phoebe (guest star Aislinn Paul) plot against them. Meanwhile, Matt Parkman (guest star Greg Grunberg) has plans of his own to ensure the safety of his family that might put Taylor (guest star Eve Harlow) in mortal danger. Ryan Guzman, Judi Shekoni and Gatlin Green also star. Lucius Hoyos, Nazneen Contractor, Krista Bridges, Toru Uchikado and Hiro Kanagawa also guest star. 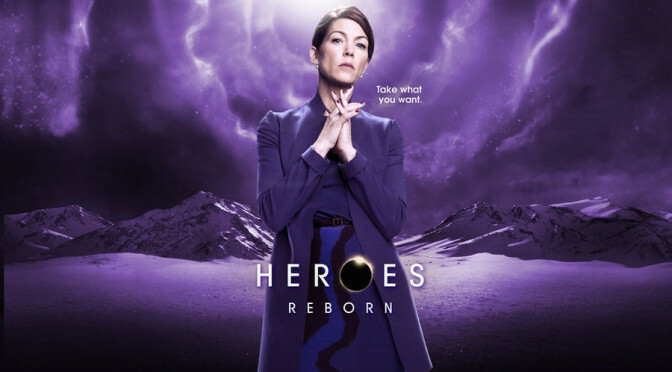 NBC has released an official description for the January 7 return episode of Heroes Reborn. TENSIONS ARE HIGH AS THE EXTINCTION OF HUMANITY APPROACHES — GREG GRUNBERG, JIMMY JEAN-LOUIS AND NOAH GRAY-CABEY GUEST STAR — Following Noah’s mysterious disappearance, Luke (Zachary Levi) and Malina (Danika Yarosh) unite to rescue Tommy (Robbie Kay) and save mankind. At the mysterious Sunstone Manor, Carlos (Ryan Guzman) and Farah (guest star Nazneen Contractor) fight alongside The Haitian (guest star Jimmy Jean Louis) to take down Matt Parkman (guest star Greg Grunberg) and free the prisoners under his control. Meanwhile, Tommy and Miko (Kiki Sukezane) join forces against Erica (Rya Khilstedt) and her brutal plan for the future. Judi Shekoni, Henry Zebrowski and Gatlin Green also star.